A new surf house overlooking the Atlantic Ocean. 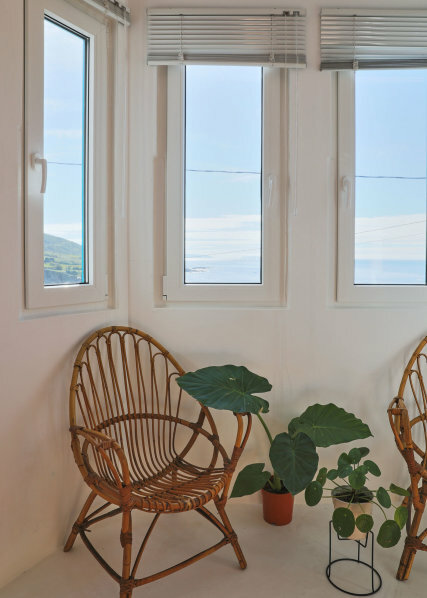 The house can accommodate up to 15 guests in 4 shared rooms, all sharing 2 comfortable bathrooms. Breakfast is included for guests. It also has 2 storage for the equipment and space to wash and dry the wetsuits. In addition, the house has a big garden with a mini bar to relax with friends after surfing, a pool table, ping pong and mini ramp, here we organize BBQ, concerts and events. Surf lessons, guiding and equipment are all available on site. We are located in Caión, a beautiful and small fishing town in northwestern Spain, one of the most regular surf spots in Galicia. The white sand beach is 50 meters walking from the house and only 25 minutes distance from La Coruña city center. 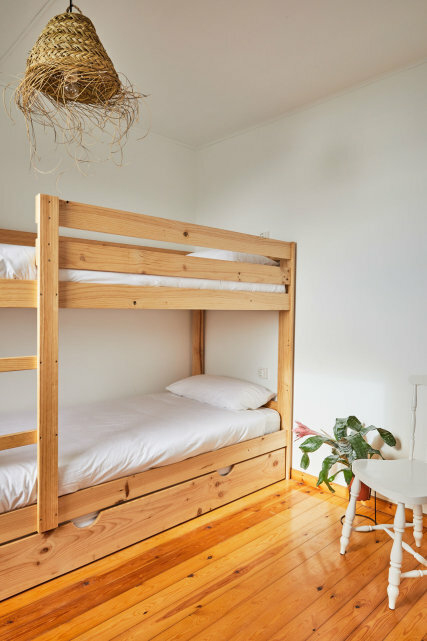 Room with 2 bunk beds for 4 people, cozy and clean with fresh linen and great garden views. 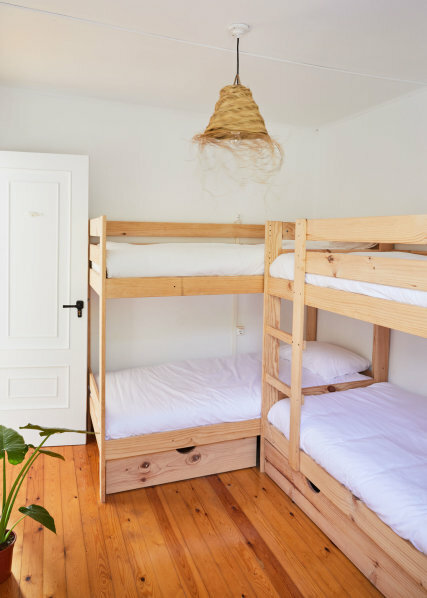 Room in a bunk bed style up to 3 people, cozy and clean with fresh linen and superb views over the Ocean. Familiar Suite Room for one couple and 2 extra people. 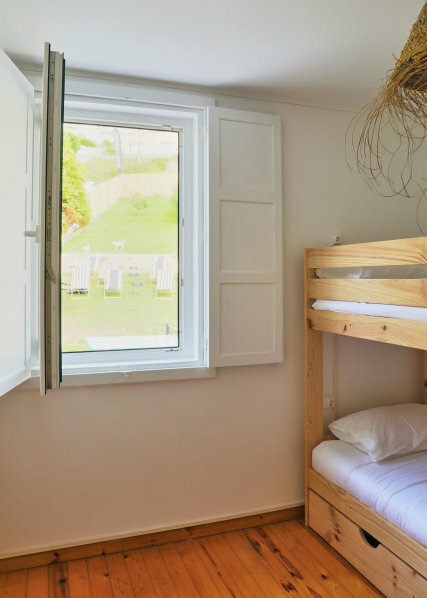 Cozy and clean with fresh linen, an extra space next to the window and superb views over the Ocean. We provide Airport Transfers from and to A Coruña airport and they can be booked in the booking steps. North West corner of Spain offers the optime conditions for surfing, this coast kisses the Atlantic Ocean, it holds the majority of the known spots and Caión beach is one of them, offers consistent beach break waves on any Northerly swell. Is one of the most regular spots in the area. We offer lessons for kids aged 8 -18. Each lesson is 2 hour per day and includes surfboard and wetsuit. Groups of 5-6 students maximum. Each lesson is 2 hour per day and includes surfboard and wetsuit. Groups of 5-6 students maximum. You will learn everything from security, paddling, standing technique to turning and finally learning how to catch green waves (unbroken). Each lesson is 2 hour per day and includes surfboard and wetsuit. Groups of 5-6 students maximum. You will learn how waves are formed, how weather conditions create the surf and the guidance to ride the waves. Each lesson is 2 hour per day and includes surfboard and wetsuit. Your balance is due to the property 15 days before arrival. The Property will contact you to collect payment. If you book within this 15 days then the property will contact you shortly after you book to collect the balance. Sports graduated, owner and manager at Patos Surf (Spain and Brasil) since 2000. Galician champion in 2008 and actively involved with the Galician Surf Federation. My experiences turn out into this project, as a place to enjoy the ocean and nature.